Amuse Studio’s, Hero Arts and Stampin’ Up. I cut the bottom of the fabric panel with a Spellbinders Die and stained it with ink. Thank you for your time today, I enjoy your visits. Gorgeous card- I would love to know how you printed on fabric as well! 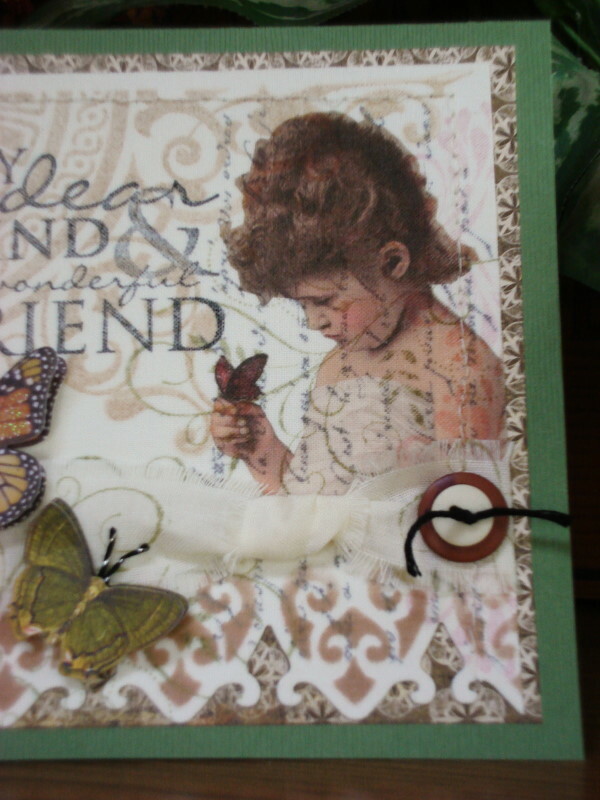 The color of the printing is perfect- just like it is on cardstock. Vada, I just love visiting you! What a delicate piece this is! 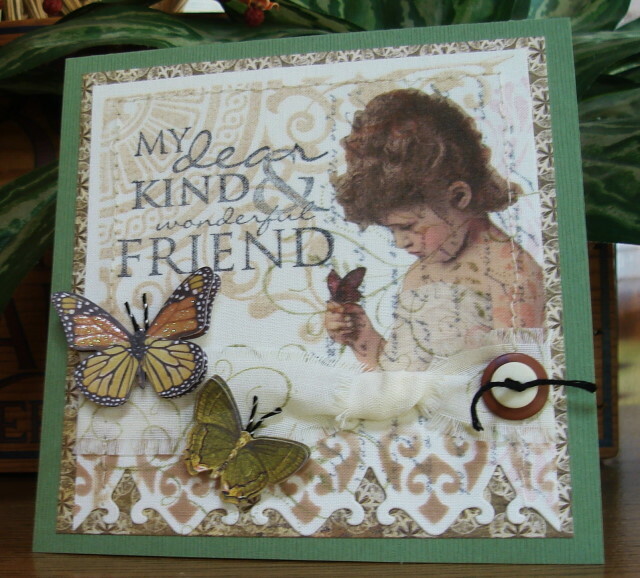 The image is gorgeous and the stamping so divine! Count me in on wanting to know how you printed this on fabric! 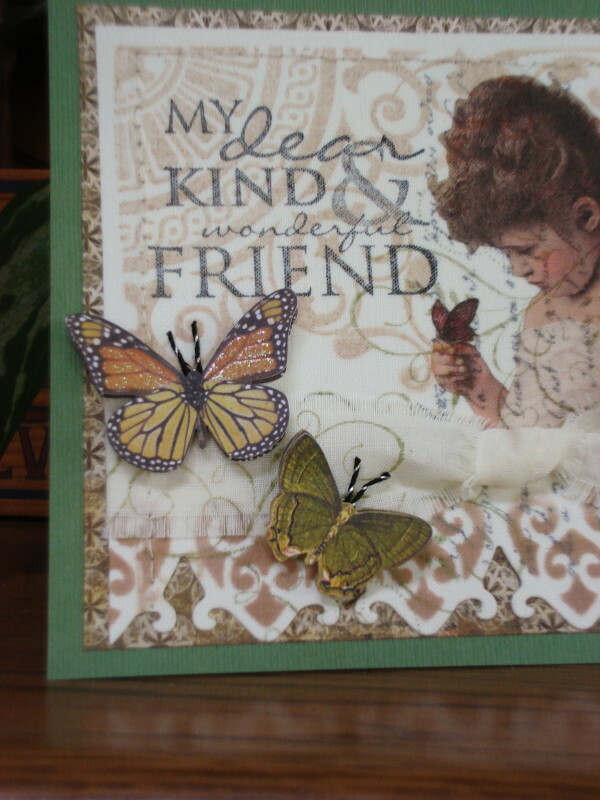 The butterflies are lovely as well! Have a great weekend!